WELCOME TO THE FIRST UNITED METHODIST CHURCH IN MART, TX! Our mission is to be a church where ALL of Gods' children can experience true transformation through the grace of God and a relationship with Jesus Christ! *Join us in the sanctuary as we shout “Hosanna” in celebration of Jesus’ triumphant entry into Jerusalem. All children present will take a special role in this service. *Walk the road to Calvary as Christ did. This is a “Come-and-Go” in the Fellowship Hall. *Last week of our Lenten study. We will gather to eat and study in the Friendship Class. *Join us for a traditional Passover Meal in celebration of the Last Supper in the Upper Room. Call the church office at 254-876-2751, no later than 1:00pm on Monday, April 15th, to reserve your spot. There is NO charge for this meal and your entire family is welcome. *Join us in the sanctuary for what some call “the hardest night” of the Christian year. But we remember…we cannot celebrate the resurrection without first acknowledging the crucifixion. *Join us at the Mart High School Football Field as we rejoice the Risen Christ in song and Word. *Our children’s Sunday School classes will enjoy a traditional Easter Egg Hunt during Sunday School. *Join us in the sanctuary as our musicians and cantata participants celebrate the resurrection of Christ in song, Word, and praise. AFTERSHOCK is our community-wide youth group. It is open to ALL students, grades 4th-12th. Youth enjoy dinner, fellowship, and worship together and then separate by grades for devotional, conversation, and games! For more information, contact Rev. Taylor Crawford at rev.tande@gmail.com or call the church office to leave her a message. At First United Methodist Church Mart, we are a faith community that strives to keep Christ at the center of everything we do. Whether we are worshipping, working, or witnessing, Christ is the foundational stone...the Cornerstone...of our faith community. There are some powerful and encouraging reasons to be involved in an authentic faith community. First, your fears and vulnerabilities become strengths. That is the product of “group” faith. As we face the inevitable trials, troubles, and tragedies of life, God intends that we be supported, strengthened, encouraged, and empowered through the community of believers. When we are weak, those around us become strong FOR US. Second, being involved in a faith community also provides opportunities for ministry. It gives us opportunities to minister in unique and personal ways to one another and to the world as we seek to make disciples of Jesus Christ for the transformation of the world. Ephesians 3:10 declares that “God’s intent was that now, through the church, the manifold wisdom of God should be made known.” God guides us and gives us wisdom for the journey as we study the Word, pray, fellowship, serve, and share our faith together. Communities of faith are people who are seeking to put the needs of others ahead of their own, following the example of Christ. They are servants and ministers to one another who watch out for one another, care for one another, and encourage one another to live for Christ and become more and more like Him everyday. Jesus was always closely connected to the disciples. I believe that is our example that we are stronger together than alone. It is this…our faith community…that encourages spiritual growth, provides accountability and allows true transformation to happen in our lives. Who carries you? Who knows the stuff that goes on in your life that almost no one else would know about? Who is walking and “living” with you in your “stuff” and is praying for you right now? Who is encouraging you, challenging you, and maybe even correcting you as you seek to follow Christ on your faith journey? 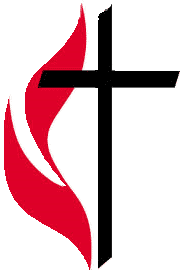 Whether you are searching for answers, looking for something more, or are a seasoned Christian, the congregation of First United Methodist Mart invites you to join us to worship and grow in your faith. Come join us...we have a place for you! Bible Study is held on Wednesdays at 6:00pm. We start with dinner and move straight into a time of study. Join us as we come together to go deeper into the Word, in a small group setting. At this time of year, when we are approaching Easter, I always have someone ask me what Lent is and what it is all about. The Lenten season is about REFLECTION AND REMEMBRANCE. Lent is a season of the forty days, not counting Sundays, before Easter. Lent begins on Ash Wednesday and ends on Holy Saturday. The forty days that lead up to Easter represents the time Jesus spent in the wilderness, enduring the temptation of Satan and preparing to begin his ministry. Lent is a time of reflection, repentance, fasting, and preparation for the coming of Easter. It is a time of self-examination and a time to focus on our relationship with God. People often choose to give up something for the forty days of Lent. In other words, a person might give up something they do a lot (like watch tv) and instead, spend that time reading their bible, praying, and give of themselves to help others. Ash Wednesday marks the beginning of this period of reflection and confession. In the United Methodist Church, we begin the Lenten season with an Ash Wednesday service, where the sign of the cross is made on your forehead with ashes that come from burned palm leaves. We make the sign of the cross to remind ourselves of Christ and what He endured for us. Unlike the beautiful decorative crosses that are around us in church and our homes, the cross of ash is dirty and ugly. The ashes remind us of our need to repent, to lay aside ourselves and all that hinders us so that we might more fully follow Christ. We have to remember what Jesus told Peter, “If any want to become my followers, let them deny themselves and take up their cross and follow me.” Lent is NOT just about giving up something easy like Dr. Pepper, sweets, or even television. It is about sacrifice. Giving up those things that draw us away from God. It is about making a conscious choice to walk more closely in our relationship with God. You see; the cross for Jesus was a deliberate choice. It was Jesus admitting and showing that things are not always pretty. The cross was our Savior’s “yes” as He gave His life in sacrifice as a ransom for many. Taking up the cross for a disciple means making a deliberate choice. It is about acknowledging Christ’s sacrifice for us and the world. Lent reminds us of the fullness of that sacrifice in the remembrance and reflection of the agony and suffering of our Savior. In our reflection and remembrance of this suffering, we come to know the glory of the gospel in a much fuller and richer sense as Easter day dawns. Really, the suffering and the glory are inseparable. If Jesus had not chosen the way of suffering, sacrifice, and enduring the cross, there would be no empty tomb to celebrate. Lent is about denying ourselves as Christ did. Lent is about bearing the weight of the cross and acknowledging the difficulties of the way of Christ. Lent is about wearing the mark of the ashes and getting our hands dirty serving others in the name of Christ. Lent is about putting our selfish desires aside and taking up the cross of Christ. Lent is about really learning to follow Jesus Christ; in the joys and the sorrows, the victories and the defeats. What will you give up for Lent? Will it make a difference in your relationship with God? Is the “sacrifice” you will make for Lent something that will enable you to grow closer to God in its absence? We hope you will join us at 10:15am each Sunday throughout Lent as we journey to the Cross. If you are just beginning or haven't given anything up for Lent, DON'T PANIC! With God, it is never too late! Start today by taking a step closer to God in your daily walk. Have a blessed week and remember…there is nothing that can separate you from the great love of God! At FUMC Mart, we invite you to COME AS YOU ARE! We would love to have you join us for worship, spiritual education, faith development, fellowship, and missional opportunities. If you have any questions about our church or congregation, please contact the church office or our Pastor. The Central Texas Food Bank comes the 1st Tuesday of each month with the food truck. Families and individuals that need assistance with groceries can come and receive food. The truck parks in the parking lot at Range Veterinary Clinic, located at 103 E. Texas Ave in Mart. Our Praise Band offers their beautiful gifts at our community meal, as well as in worship. We are blessed with numerous musicians in our church that love to share the gifts God has given them. Aside from our Praise Band, we also have an adult choir, gifted pianist, organist, clavinovist, and children's handbells. J.A.M. (Jesus and Me) is our after-school ministry that meets 2-days a week. It takes place after school, until 6:00pm, every Tuesday and Thursday. It is open to all Mart ISD children in 1st through 6th grade, at NO cost. J.A.M. runs through the school year, following the school calendar in regards to days off, holidays, and teachers in service/training days. J.A.M. is a ministry filled with fun, food, fellowship, and FAITH. We provide homework assistance and tutorials; activities such as cooking, bible stories, art, games, puppets, and exercise; as well as music and worship. Everyone is invited and encouraged to join us for J.A.M. Worship on Tuesday and Thursday at 4:30pm. All of our volunteers are Ministry Safe certified and have complete background checks. It is the policy of the United Methodist Church that there are always, at the very least, two (non-related) adults present at all times with the children.